Can you tell I love Thinking Map? 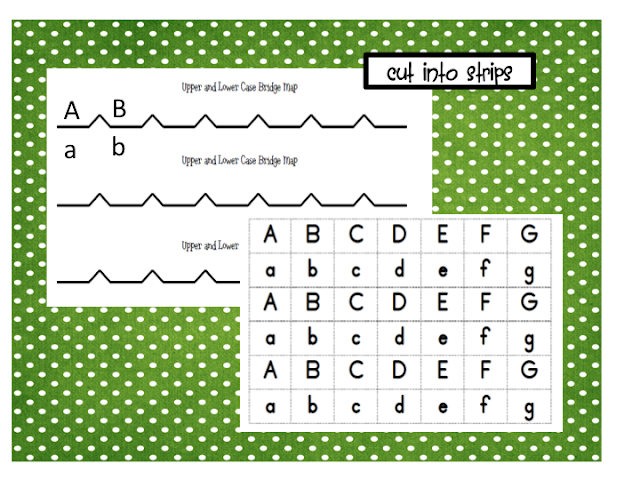 Here is the bridge map I used with my kindergartners today. It was really telling of who knew their upper and lower case letters pairs. Please note that it is made to print n legal sized paper. Just click the image to get your FREE copy from my Teachers notebook store. If you you grab my freebie, please leave me a comment. I love to hear back from people who use my items. I love thinking maps and I love the way you used this bridge map. On my way to download it now! Thank you so much for sharing!